Choosing color and style for your new roof installation can be a challenging but important task. With many products on the market, making a single choice can be daunting. Areas prone to algae can wreak havoc on your roof. 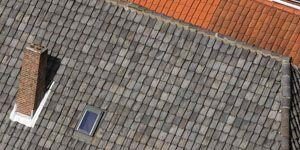 Choose a type of shingle designed to resist this type of growth to ensure your roof maintains its original color as long as possible. The color change may also be as a result of acidity from pollution. Singles also have varying levels of fire resistance. If all your neighbors have the same color of roof shingle, you may want to think about uniformity in the community before choosing a drastically different shade. This ensures your roofing complements and blends nicely with those in the neighborhood. Spanish home styles often have terracotta shingles. Bricks used to build your house and exterior painting should influence your choice of roofing shingles in terms of style and color. What you choose should complement your personal style and that of your home. There are two major types of shingles: asphalt and laminate. Asphalt is effective against harsh weather and widely accepted as the standard in the Northwest. Laminate, on the other hand, is costly and not as widely preferred. They are primarily chosen for specific architectural styles and even chosen for decorative purposes. They come in different shapes and sizes and tend to give a shadowy effect. Other shingles are often made from clay or wood. Keep in mind that darker-colored shingles retain heat while lighter ones help bounce heat away from the house. Shingles are purchased in sheets, each covering 100 square feet. Obviously, you’ll first need to measure the square footage of your roof to estimate the cost. Ask your contractor to do the measuring for you if you’re wary about climbing around on the roof to get exact measurements. With the information, you or your contractor will be able to estimate the actual cost of the shingles. Durability means how long the shingle will last. It is always known that the more expensive a shingle is, the more durable it is. But this isn’t always the case. Some shingles are more expensive because of where they were manufactured, special features, or decorative elements. All new shingles come with warranties. Always choose shingles made by well-known manufacturers to ensure you’re buying products that have stood the test of time. The shingles you choose should be able to withstand harsh environmental conditions such as wind, heat, snow, and of course, 9 months of rain.